The one major thing every artist that makes fame under the age of 25 has in common is proving that age is nothing but a number. And while their age was probably a prerequisite for this list, so was talent. The majority of this pop music artists had outstanding releases over the years; some of them did something attention-grabbing on TV; many have projects in the works for the coming year. This isn’t the first time pop artist under the age of 25 rose to stardom. Chris Brown, Rihanna, Charlie Puth and lot more were under this age group when they hit the music industry. 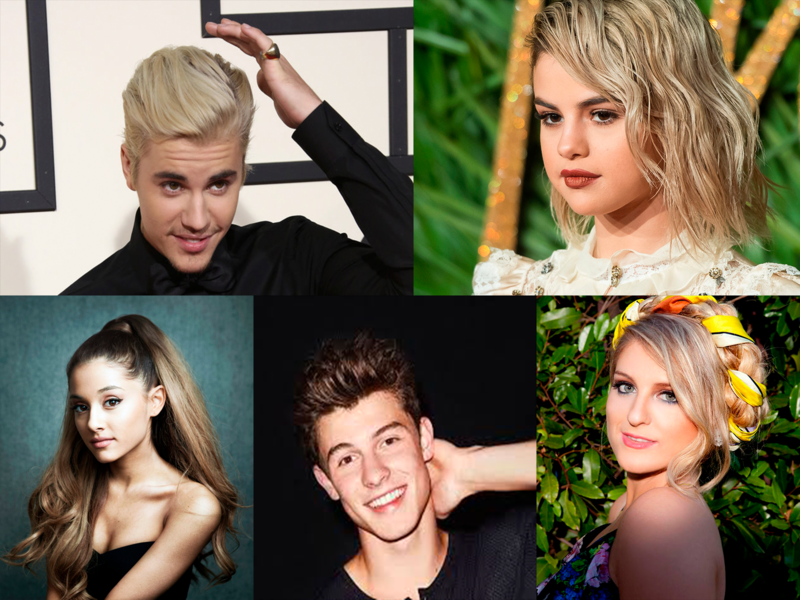 From Justin Bieber to Shawn Mendes these young artists have broken boundaries and are certainly leading global culture regardless of age when it comes to fame and success, making an impact across the world with their creativity and music. At age 23, after a lengthy series of negative tabloid publicity, the pop star Justin Bieber has become one of the most successful pop stars in the industry. His single “What Do You Mean?” debuted at #1 on the Billboard Hot and also followed it with a #2 opening for “Sorry.” After a while “Sorry” went to #1 after being halted from the top by Adele. His album “Purpose” debuted at #1 outselling One Direction and with the extra hit single “Love Yourself,”Justin Bieber’s song feature in three of the top 5 pop hit singles for five consecutive weeks. Selena Gomez eventually left her Disney past behind when she left The Disney world imprint Hollywood and signed a new recording deal with Interscope. The outcome has been a second successive #1 solo hit album “Revival”, along with the top 5 smash hit single “Good For You” and also the #6 peak of “Same Old Love.” One of her hit single “Hands To Myself” is already in the top 30 at mainstream pop radio. 2014 saw the rise of probably the most promising young female pop artists/songwriters in recent history. 23-year-old Meghan Trainor roared to the top of the pop music charts with her debut single “All About That Bass” and proceeded to earn Grammy Award nominations for Song and Record of the Year. Proving she is not a one-hit wonder, the follow-up single “Lips Are Movin” emerged as a top 5 pop smash. Her debut album “Title” received a lot of strong positive logical reviews while opening at #1 on the music album chart. Ten months after the release of the album, Meghan Trainor returned to the pop music top 10 with the single “Like I’m Gonna Lose You” featuring John Legend. 24-year-old Ariana Grande is not an ordinary Nickelodeon network superstar. She used her hit role in the TV series “Sam & Cat” to start a pop music career that has far surpassed any of the TV achievements. Her sophomore album “My Everything” became her second consecutive #1 pop album. The album featured four top 10 pop hit singles. The release of Grande’s third studio album, “Dangerous Woman,” was met with positive reviews. Ariana Grande also confirmed she began working and writing on the fourth album on her Twitter handle. A tweet she later deleted. Following in fellow Canadian Justin Bieber’s footsteps, 19-year-old Shawn Mendes was among the breakout pop music stars of 2015. However, he hit his pop chart achievements in reverse fashion of countless artists. With the wind of amazing social media success at his back, he reached #1 with his first full-length album “Handwritten.” However, he would not have a pop radio hit until when “Stitches” went as high as #1. He followed the success by dueting on “I Know What You Did Last Summer” featuring Camila Cabello from Fifth Harmony. The song has arrived at the top 15 at mainstream pop radio.